Missouri’s third largest winery is tops in my book. 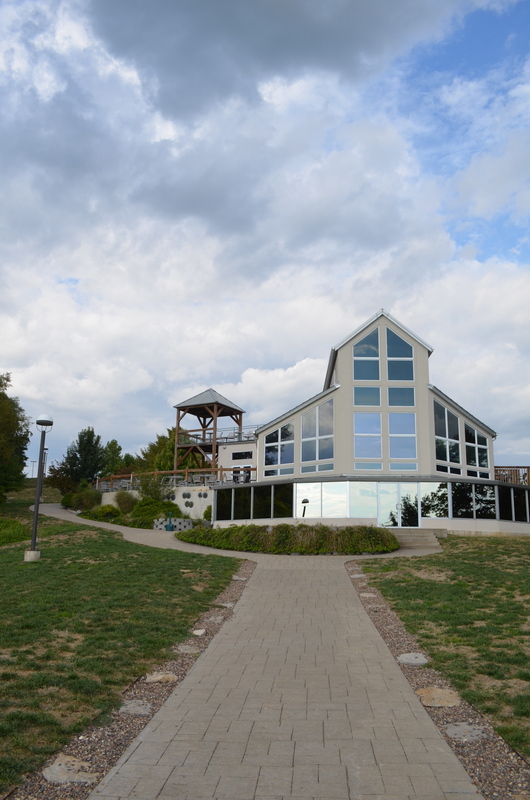 Les Bourgeois Winery, nestled on a bluff in Rocheport, has it all: a great selection of wine; a spectacular view of the Missouri River; a lovely restaurant; and an American success story. This family-owned vineyard was started by Curtis and Martha Bourgeois who hailed from Louisiana. In 1974, they bought 15 acres of bluff top property on the Missouri River and relocated to the Show-Me state. Initially, they planted grapes to beautify their land and make wine as a hobby. But in 1985, they had a huge harvest- five tons of grapes that yielded nearly 500 gallons of wine—which they sold to a winery in Rolla. It was then that the family realized the potential for a vineyard. In two months, their entire vintage of “Jeunette Rouge” sold out. In time, they began to buy more land and plant more grapes. In 1994, they purchased more bluff top property adjacent to their home to build a bistro. Their son, Stephen Bourgeois, an architect, designed the Blufftop Bistro, which is a gorgeous restaurant and a must if you visit. Aside from good food, the view is fantastic. If you visit the winery, first stop at the tasting room for a free tasting. You can sample six wines for free or the entire menu of 23 wines, for $8 per person. The tasting room is open daily from 11 a.m. to 6 p.m. I was just there to celebrate my birthday and the staff were friendly and helpful. I prefer dry wines and Les Bourgeois has a good selection. The Collector’s Series 2013 Vidal Blanc: it was a crisp, vibrant, dry white with citrus flavors. The Collector’s Series 2011 Syrah: is one of the best Missouri reds I’ve tasted (but in fairness, they bring in California grapes for this wine). It was a full bodied red with hints of pepper, smoke and berries. I loved it and this was my overall favorite. Collector’s Series 2012 Valvin Muscat: was very unusual. It struck a lovely balance between sweet and semi-dry. 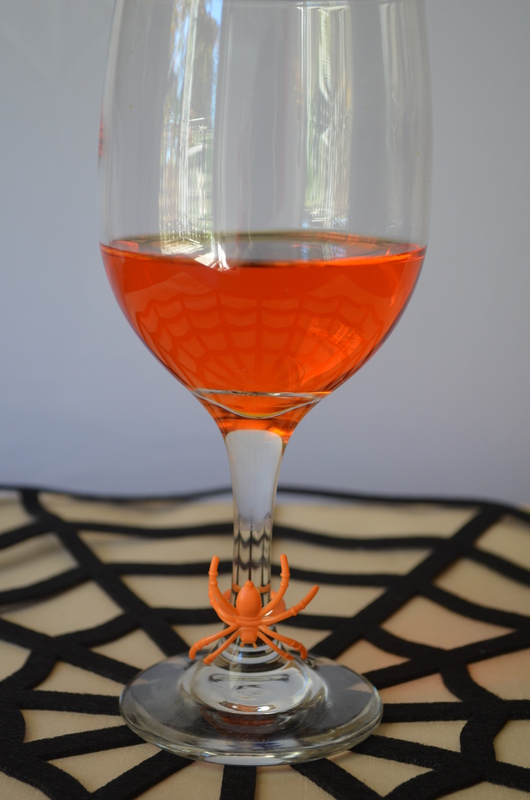 It had strong flavors of orange but hints of pineapple, melon, and strawberry. I also loved the Vignoles. Vignoles tends to be my favorite Missouri varietal and I drink it in the summer when it’s hot because it’s a refreshing wine (even though I don’t typically like sweet wine and many Vignoles are sweet). This one was dryer than most and had a beautiful floral bouquet, with apricot undertones. Again, I typically do not like Rose, but there was a sparkling Brut Rose that was light, lively, floral and had hints of berries. This sparkling wine received a gold medal of excellence at the Jefferson Cup Invitational Competition, a wine competition. The great thing about wine tasting is it opens you up to things you might never try but end up enjoying. After the wine tasting, we headed to the Blufftop Bistro, which is one of my favorite Missouri restaurants. First, the architecture is stunning and it has great ambience. Huge windows look out on the Missouri River Valley. You can sit a table draped in a white linen tablecloth and admire the scenery or the sunset. Dinner is pricey, but I think it’s worth it. My favorite main course is the filet: it’s melt-in-your mouth tender, served with mashed potatoes, and topped with a red wine demi-glace ($36). This time, we were between meals so we only had salads and appetizers to choose from. We ordered the meat board and sent it back because we disliked it. 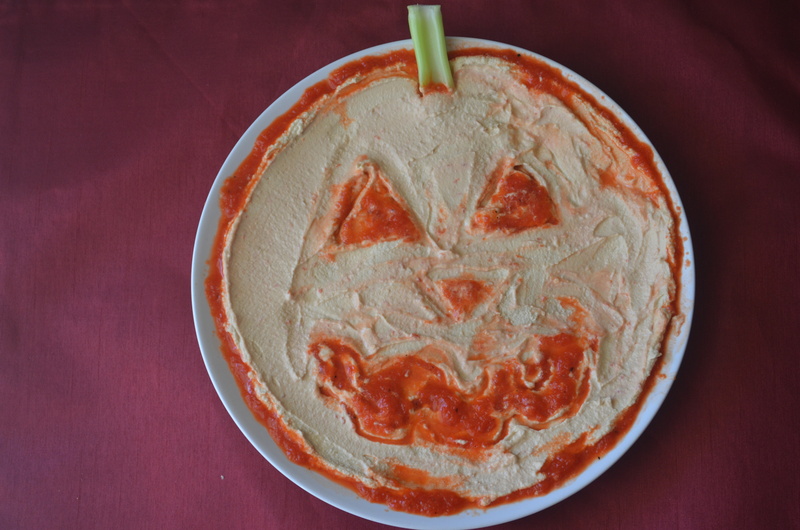 They replaced it with a hummus board, which was great. We also had a nice house salad. If you plan to have dinner in the bistro, make reservations in advance because it’s a popular restaurant in high season or on weekend. 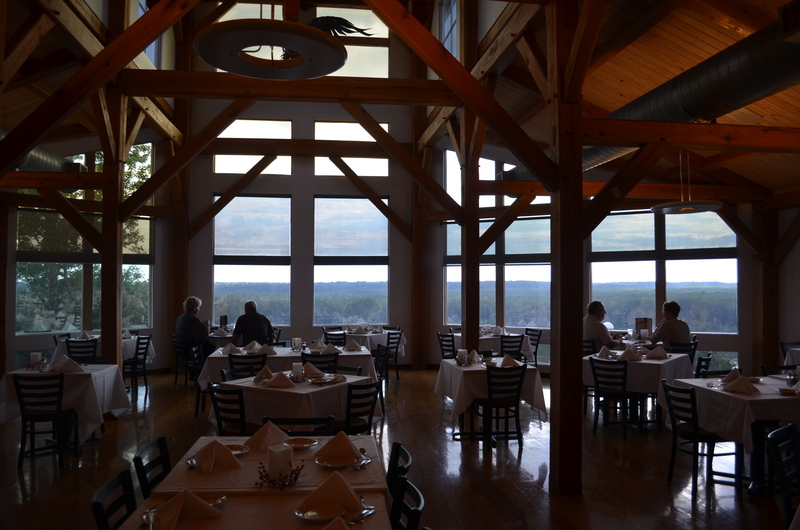 If you don’t want to eat, you can savor a glass of wine on the balcony at the Blufftop Bistro and still enjoy the gorgeous views. Spring is a lovely time to visit the winery, before it gets too hot outside. 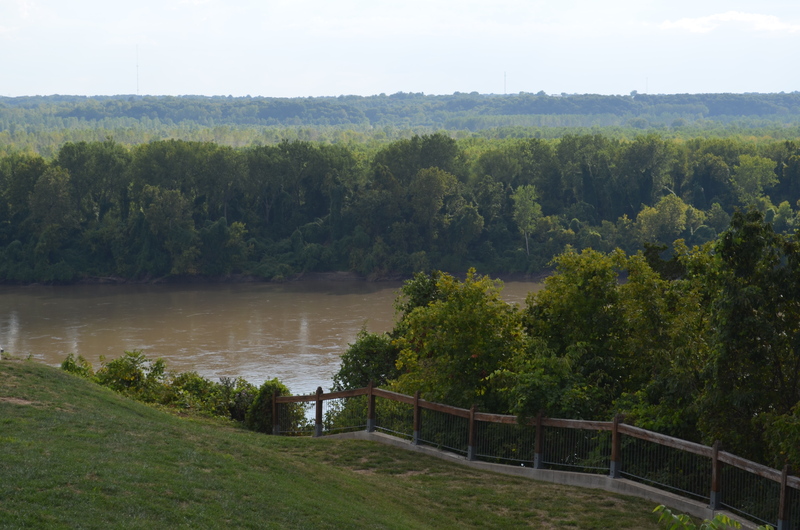 And if you’ve never been to Rocheport, be sure to pencil in a little time to walk around there, too. Rocheport is a quaint town with lovely little antique shops, cafes and bed and breakfasts. The Katy trail runs through here the countryside is beautiful for a bike ride or short drive. 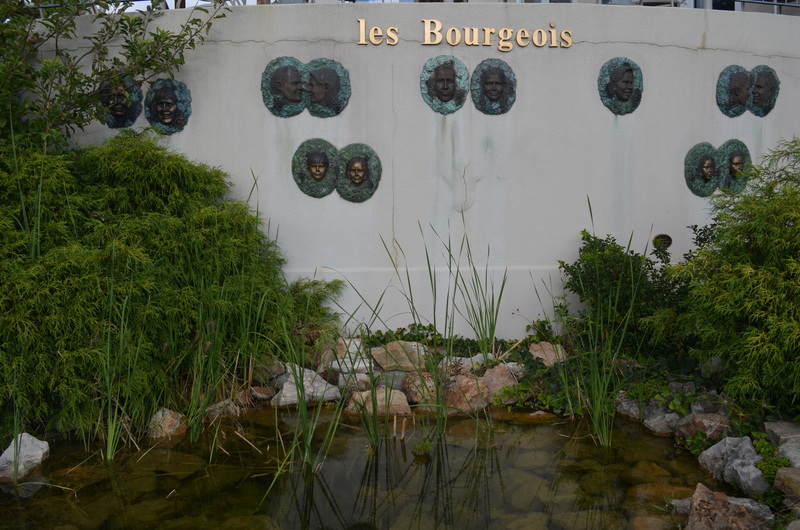 As the weather warms, Les Bourgeois Winery is a perfect place to explore. I wrote this article for the Joplin Globe. It appeared today in the paper’s Explore section. I write weekly food and travel features for that newspaper. Les Bourgeois Winery, 14020 W. Hwy. BB, Rocheport. 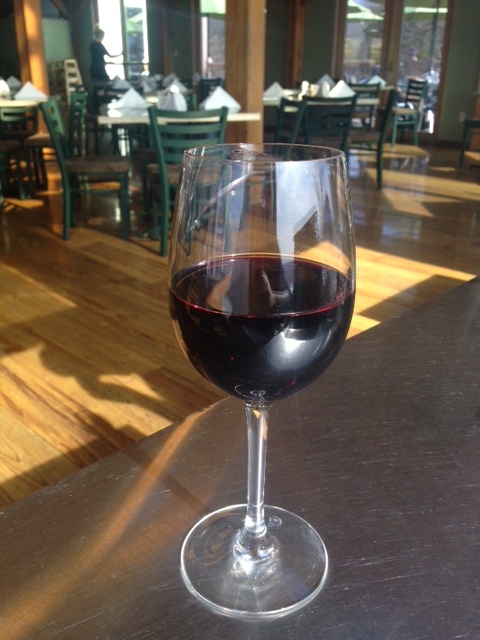 Wine tasting daily from 11 a.m. to 6 p.m. 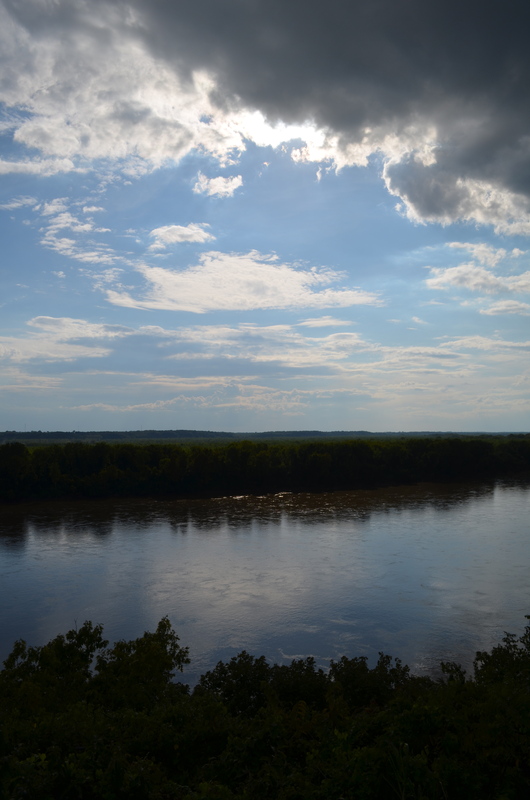 This entry was posted in Travel and tagged blufftop bistro, brut, dinner, filet, food, great view, Katy trail, Les Bourgeois, Missouri River, Missouri wine, Rocheport, syrah, tourism, vignoles, wine on March 22, 2015 by Juliana Goodwin. What did you do yesterday? 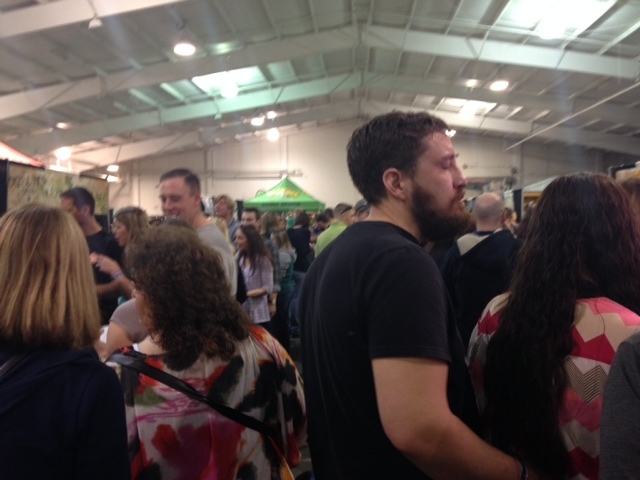 Well, I attended the third annual Midwest Beer, Wine, Cheese & Chocolate Festival at the Ozark Empire Fairgrounds and it was awesome. The festival attracted throngs of people who lined up to sample more than 200 products- many made in Missouri. The fair puts this on and from year one, attendance has more than doubled and it’s easy to see why. It was an incredible opportunity to sample as much I wanted and discover new products. I’ve fallen in love with beers I would never have ordered at a bar or restaurant, and tried locally produced food that I will now seek out. While there was wine and beer, it definitely felt more beer-centric. My only complaint were the lines were very long everywhere I went and it could 10 minutes to get to a booth. But in true Ozarks fashion, some people would pass samples back down a line if it was stagnant, which was nice. 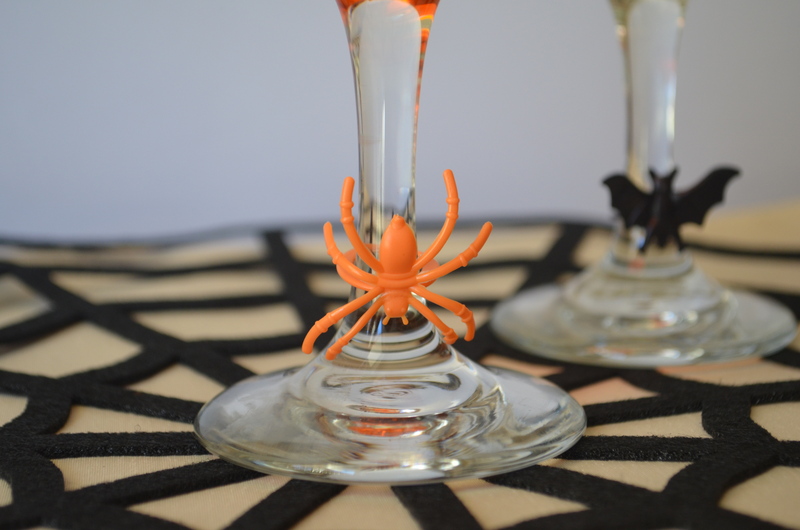 This entry was posted in Uncategorized and tagged beer, cheese, chocolate, festival, made in missouri, midwest, missouri, wine, winery on February 8, 2015 by Juliana Goodwin. ATTENTION EXCLUSIVE WINE LOVERS. Have you ever noticed that nachos or wings, typical Super Bowl fare, doesn’t pair that well with a glass of red or white? I have, and so I usually drink beer or margaritas during the game, but if you only like wine, then this appetizer is for you. 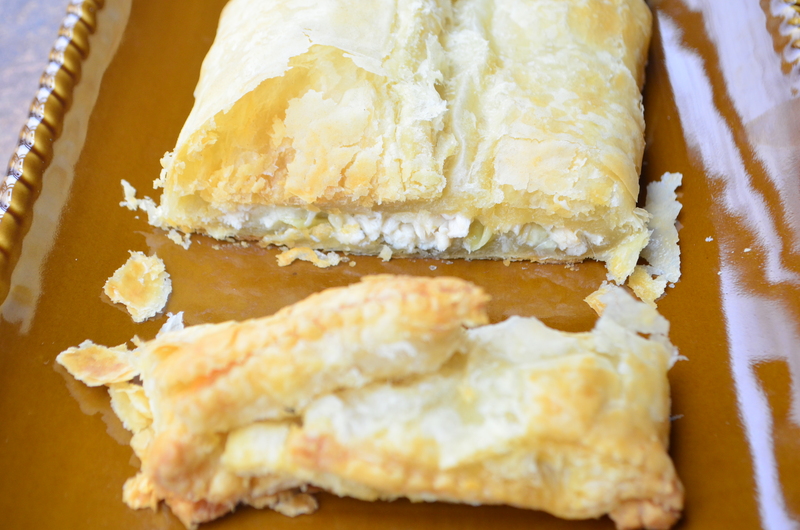 Golden, buttery puff pastry is wrapped around chunks of artichokes and chicken tossed with creamy mayonnaise, cheese, a hint of salty bacon, and accented with Italian seasoning. It’s lovely. This also makes a quick dinner. If you serve this for dinner, I’d suggest serving grilled asparagus and salad or sautéed spinach on the side. 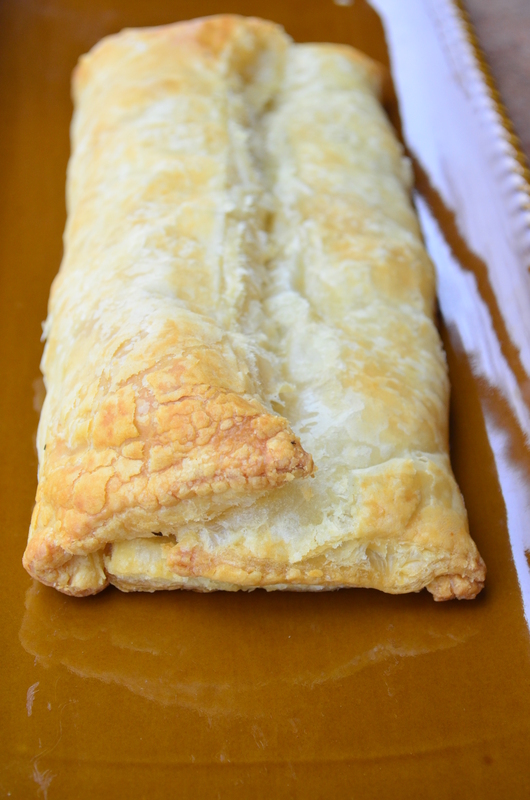 Bake 18-22 minutes. Remove from oven and allow to rest 5 minutes before slicing. 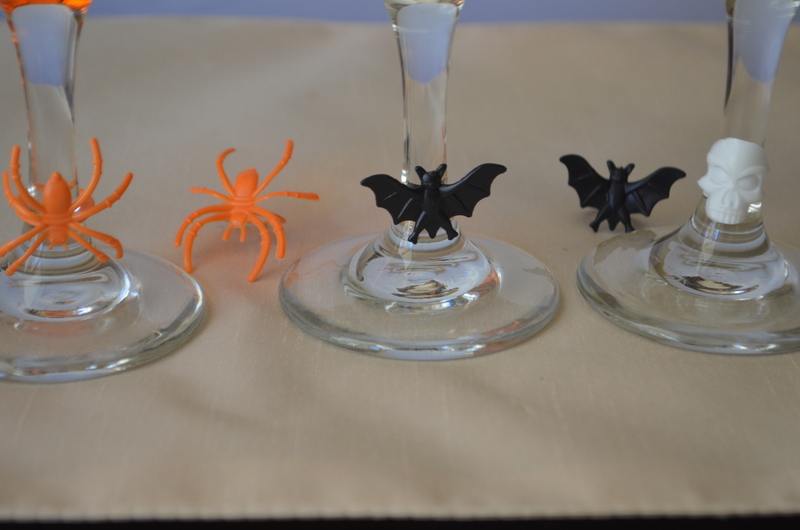 Enjoy with a glass of Sauvingnon Blanc or Chardonnay; or any red from a Pinot to Cabernet. Cheers to drinking wine and eating food that pairs well with it during the Super Bowl. This entry was posted in Appetizers, Juliana's Favorites, Main Courses and tagged Appetizer, artichokes, bacon, cheese, delicious, easy, Entertaining, Party, rotisserie chicken, super bowl, wine on January 30, 2015 by Juliana Goodwin.